Place ingredients in a large microwave-safe bowl. Microwave on High in 30-second bursts, stirring between, until mixture is creamy (about 2-3 minutes of total microwave time). 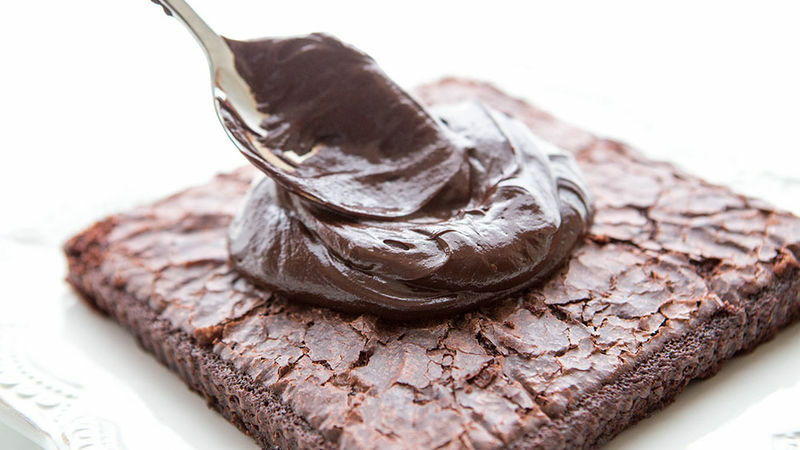 Spread immediately on cooled cakes, cookies or brownies. Allow to set at room temperature before serving. Place leftover frosting in a parchment-lined loaf pan and refrigerate. Slice into squares and enjoy like fudge!